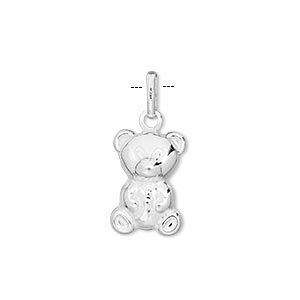 Charm, sterling silver, 15x10mm teddy bear. Sold per pkg of 2. Item Number: H20-3831FD Have a question about this item? Versatile charms can be used for earring components, necklaces, charm bracelets and chains, shoe charms, zipper pulls or scrapbooking. 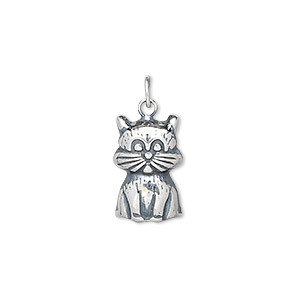 Charm, sterling silver, 15x10mm teddy bear. Sold individually. 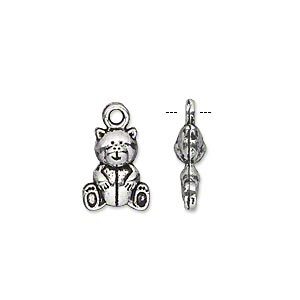 Charm, antique silver-plated "pewter" (zinc-based alloy), 13x11mm double-sided teddy bear. Sold per pkg of 20. 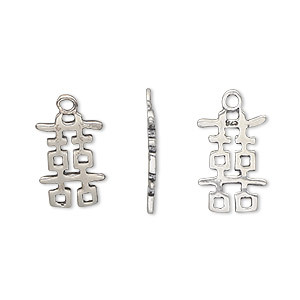 Charm, antiqued sterling silver, 15x10mm Chinese symbol for double happiness. Sold individually. 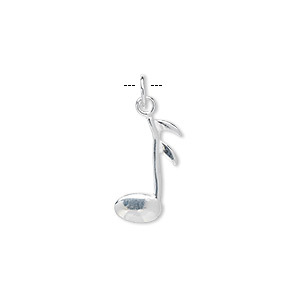 Charm, sterling silver, 15x10mm music note. Sold per pkg of 6. 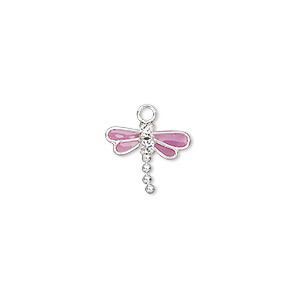 Charm, Swarovski® crystals and sterling silver, crystal clear with purple enamel, 13x11mm dragonfly. Sold per pkg of 2. 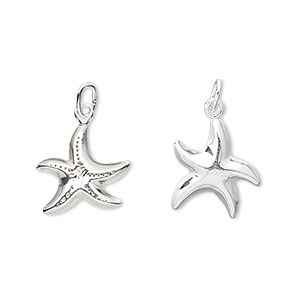 Charm, sterling silver, 15x13mm two-sided starfish. Sold per pkg of 2. 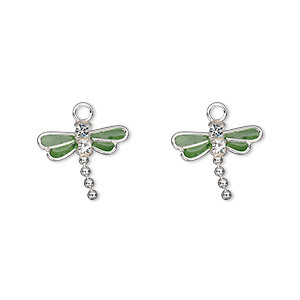 Charm, Swarovski® crystals and sterling silver, crystal clear with green enamel, 13x11mm dragonfly. Sold per pkg of 2. 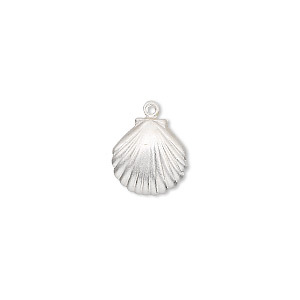 Charm, sterling silver, 11mm clam shell. Sold per pkg of 2.